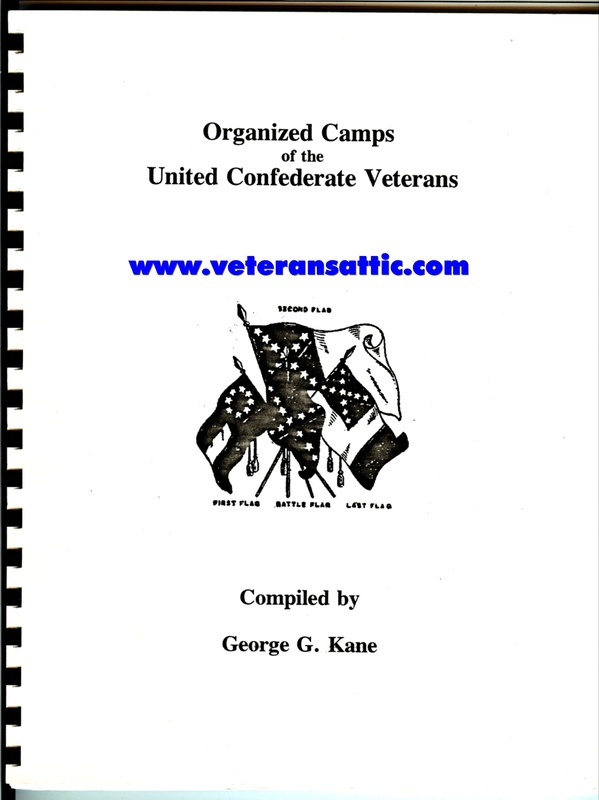 One of the first copies of George Kane's book "Organized Camps of the United Confederate Veterans". George took the 1920s list of UCV camps that were listed by number and has put that list in his book and then he has listed the camps by state! If you have ever had to research a camp by it's number you know how great it is to look at the camps by state and not by number. If you collect United Confederate Veterans, this is one book you need in your library.